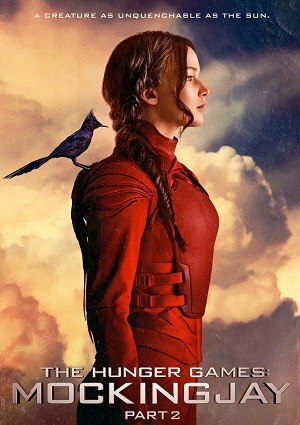 For all past deaths made as entertainment, and for the insidious modification of Peeta, Katriss deems to strike out on her own to take down President Snow once and for all, but being the Mockingjoy, the living symbol of the rebellion now headed by Alma Coin, has its drawbacks. Recognition, for one, and she findsy herself saddled with a team of expert warriors aimed to penetrate the Capitol that has barricaded itself behind Hunger-Game-style death traps. As she closes in on carrying out her private agenda through more deaths and mayhem, President Snow himself makes her aware of another threat to peace for Panem equal to himself, leaving her to consider how to truly end the bloodshed.